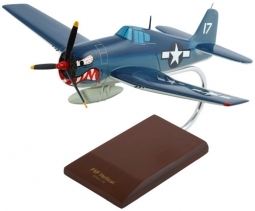 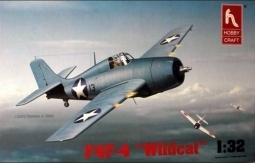 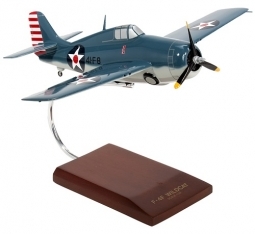 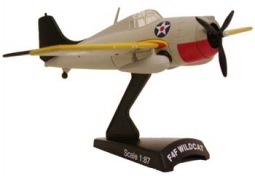 In 1942, Grumman Aircraft Engineering Corporation began mass production of the F6F Hellcat fighter as replacement for the F4F Wildcat which had been carrying the burden of fighter operations in the Pacific. 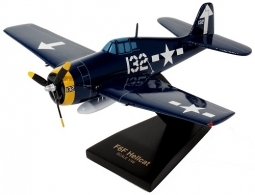 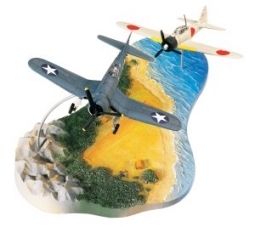 The results obtained from testing a captured Japanese Zero restored to flyable condition were utilized in refining design features of the production F6F to enable it to engage the Zero on equal terms and thus dictate the rules of combat. 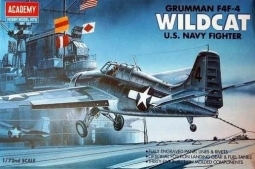 At one time during the war, Grumman was delivering a Hellcat at the rate of one per hour around the clock for a grand total of 12,275 deliveries from 1942 to 1945.
detailed cockpit, radial engine, detailed landing gear bay, USN/Rn.